Hidden behind majestic wooden doors, J.K. Place Firenze is an intimate, ultra-chic boutique hotel. The restructuring of this beautiful palazzo in Piazza Santa Maria Novella has resulted in a stylish "house" that unites traditional architecture with the luxury of modernism and unique local touches. Exclusive Design by the Architect Michele Bonan, one of the most sought after Architects in Italy. Enjoying a sumptuous breakfast in the familial atmosphere of the elegant, glass-roofed dining room. Delicious cocktails on the J.K. Terrace in the Piazza or on hotel’s roof top terrace. We visited lots of luxury hotels all over the world. 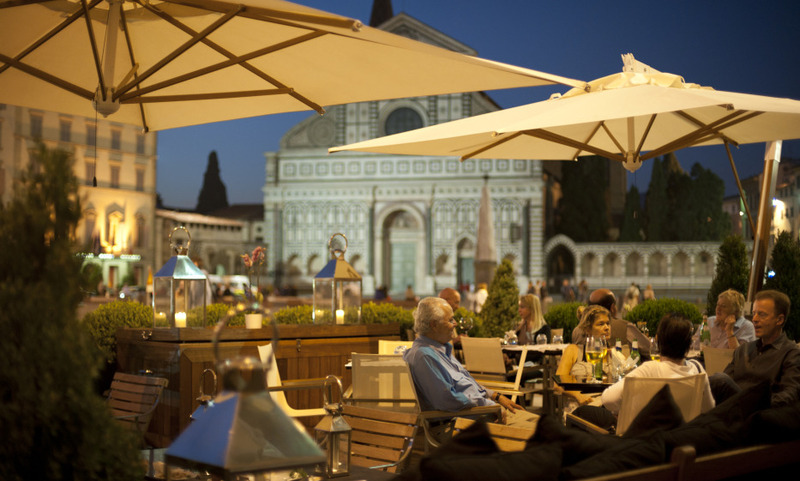 But J.K.Place Florence and Rome are in our top 5, because we love the design, the service is excellent, the style is casual nevertheless it's very elegant. So for us it's perfect. We are looking forward to getting to know the one in Capri!!! All the staff are so friendly and offer impeccable customer service. We have a very quiet room on the third floor and even though it is smaller than we expected, we are still very happy with the stay. Will definitely stay in JK Place Firenze again if we are going back to Florence. We very much liked the J.K. Place in Firenze and felt sad to leave. Perfect location, just a few steps away from shopping areas and sightseeing spots. Very friendly and efficient staff, delicious food. Very well decorated. They pay attention to details. Their city guide is very well done. A small but elegant hotel. Staffs are warm and helpful. The hotel is beautiful decorated. Close to the train station, shopping centre and attractions. Highly recommended.